If you go to the right law school, you’ve got a direct line to high-paying and prestigious jobs. If you go to the wrong one, you may come away with too much debt and too few opportunities. We’ve ranked the 50 best law schools based primarily on a survey of more than 300 legal industry professionals, produced with help from Survey Monkey. Our ranking also factors in data on acceptance rates and post-graduated employment rates. The top-ranked school was Yale Law School, an extremely elite institution recognised as a launching pad for almost any post-graduate job. It was followed closely by Harvard and then Columbia and Stanford — elite schools with strengths in different areas. The University of Arizona scored a 4.3 out of 10 on our Legal Insider rating. 76% employed nine months after graduation. 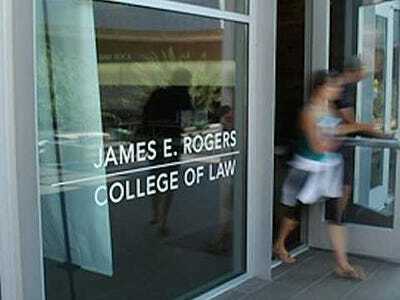 The James E. Rogers College of Law at the University of Arizona offers numerous specialised programs and excels in its environmental law and Indian & Indigenous Peoples law programs. Read our full methodology here. 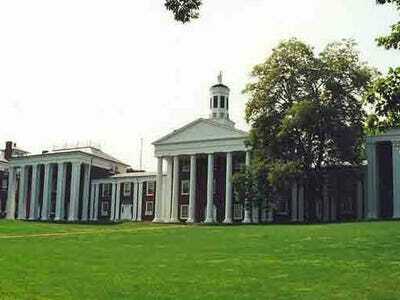 Washington and Lee University scored a 4.3 out of 10 on our Legal Insider rating. One of the oldest law schools in the country, W&L Law has educated multiple governors, state Supreme Court justices, ambassadors, cabinet members, and legislators. The University of Utah scored a 4.3 out of 10 on our Legal Insider rating. 81% employed nine months after graduation. Students at the S.J. 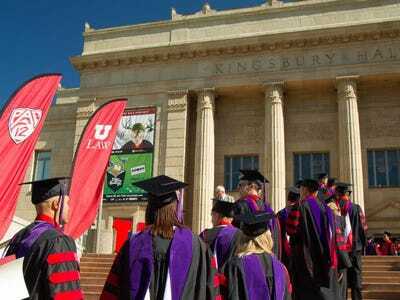 Quinney College of Law at the University of Utah are incredibly well prepared for the bar exam. This year 91% of those who took the bar exam passed the first time they took it. 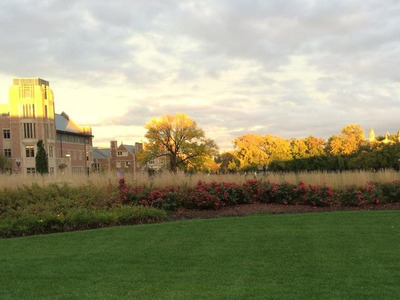 Seton Hall University scored a 4.4 out of 10 on our Legal Insider rating. 83% employed nine months after graduation. 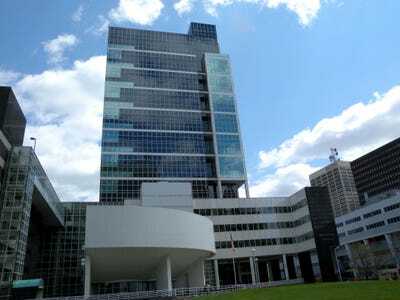 Seton Hall is nationally recognised for its health and pharmaceutical law, intellectual property law, public interest and government service, and international and corporate practice programs. Almost 38% of the class of 2013 placed in a judicial clerkship after graduation. Temple University scored a 4.4 out of 10 on our Legal Insider rating. Students at this Philly law school have the opportunity to take a study abroad or exchange semester in one of 10 locations around the world. The Tokyo study abroad program is probably the school's most notable one, as it's the only ABA-approved semester abroad program in Asia. The University of Illinois scored a 4.5 out of 10 on our Legal Insider rating. The University of Illinois College of Law is home to the founding chapter of the Order of the Coif, a prestigious law honour society, where many of the country's best-known law textbook and treatise writers originated. The University of Colorado scored a 4.5 out of 10 on our Legal Insider rating. 79% employed nine months after graduation. 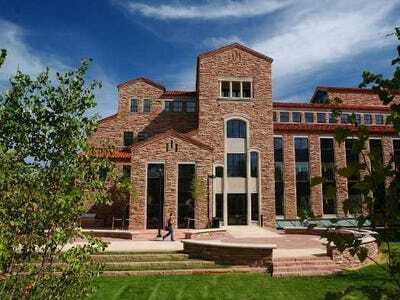 Colorado's law school offers eight dual-degree programs that students can use to gain a legal perspective in another industry. A couple of the most popular programs are the joint JD/MBA program and the JD/PhD in environmental studies. 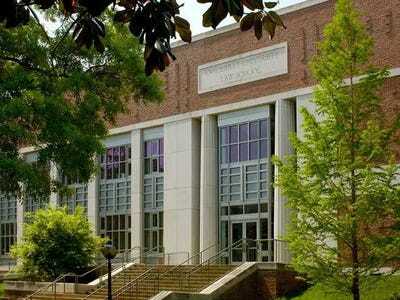 The University of North Carolina scored a 4.5 out of 10 on our Legal Insider rating. UNC School of Law's pro bono program builds the foundation for a legal career in public service. The Chapel Hill law school supports its program with numerous clinics focused on domestic violence, immigration, and youth justice, among others. The University of Wisconsin scored a 4.6 out of 10 on our Legal Insider rating. 80% employed nine months after graduation. 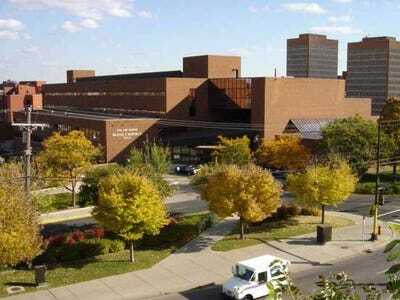 This Madison-based law school was one of the first to initiate a clinical program, and it now has one of the largest clinical programs in the country. Working under the supervision of attorneys and professors, students get face time with real clients, drafting briefs and performing factual investigations. Ohio State University scored a 4.6 out of 10 on our Legal Insider rating. Moritz College of Law moved up six places from our list last year. The school's Moot Court and Lawyering Skills Program gives students the opportunity to pick up and practice real skills they may be required to use. The program also includes a moot court team, which has earned numerous national and regional titles. 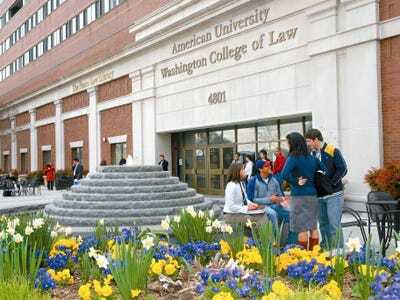 American University scored a 4.6 out of 10 on our Legal Insider rating. 68% employed nine months after graduation. Washington College of Law nurtures its students' careers from 1Ls and beyond. WCL even aids alumni with job search and career development services like resume writing, interview technique, and networking. 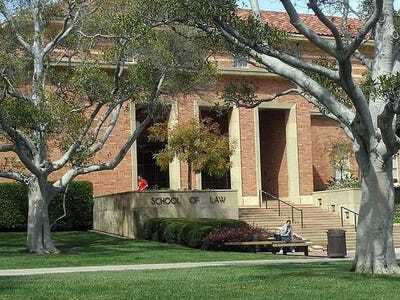 The University of Southern California scored a 4.7 out of 10 on our Legal Insider rating. 74% employed nine months after graduation. USC notes that lawyers who graduate from Gould School of Law reportedly earn $US5 million to $US10 million over the course of their careers in private practice. 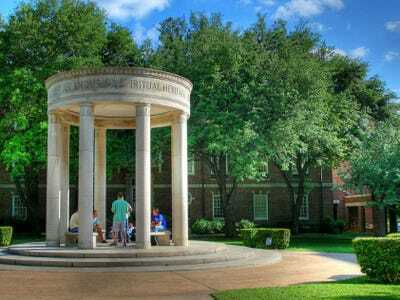 Southern Methodist University scored a 4.7 out of 10 on our Legal Insider rating. 85% employed nine months after graduation. Dedman School of Law makes it easy for professionals to go back to school with a four-year, part-time law school program right in the heart of Dallas. The evening classes make it so students can work during the day and attend class afterward. 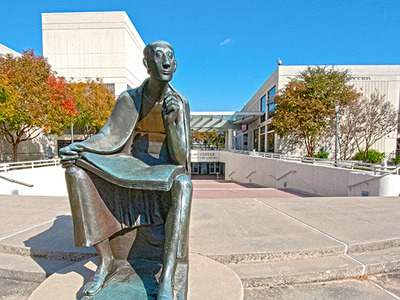 The University of Houston scored a 4.7 out of 10 on our Legal Insider rating. 'Hire Houston First' is one of the initiatives of the University of Houston Law Center's Career Development Office. Alumni who are hiring are encouraged to work with the Career Development Office to consider fellow Houston law alumni and students for open positions. 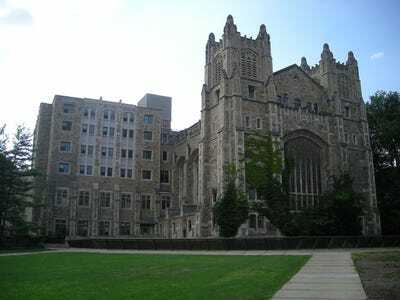 Fordham University scored a 4.7 out of 10 on our Legal Insider rating. 71% employed nine months after graduation. The University of Georgia scored a 4.7 out of 10 on our Legal Insider rating. Georgia's School of Law, renowned for its international law course, leapt from No. 48 on last year's list. Students have the opportunity to spend a summer studying business law at the European Union in Brussels or trade practice at the World Trade Organisation in Geneva. They can also gain global internship experience in another country. CUNY School of Law scored a 4.8 out of 10 on our Legal Insider rating. 58% employed nine months after graduation. CUNY Law is known best for its programs in public interest law and goes by the motto, 'Law in the service of human needs.' 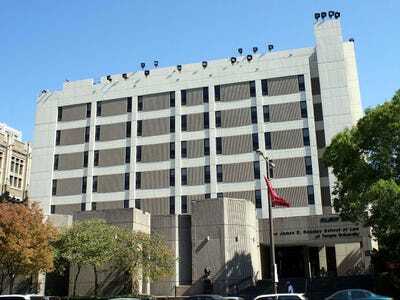 Located in Long Island City, Queens, the school is perfectly located to access the countless nonprofits and NGOs in New York City that hire CUNY Law grads. Florida State University scored a 4.8 out of 10 on our Legal Insider rating. 86% employed nine months after graduation. Ranked the No. 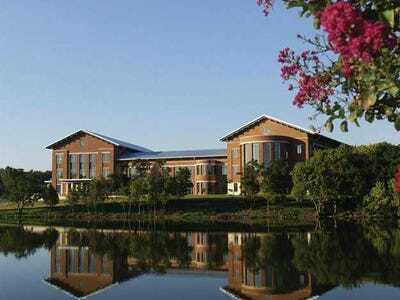 1 law school in Florida by US News & World Report, FSU has strong rates of employment after graduation, due in part to Tallahassee being home to more than 500 law firms, the Florida Governor's Office and Legislature, as well as numerous courts and state agencies. The University of Minnesota scored a 4.9 out of 10 on our Legal Insider rating. No. 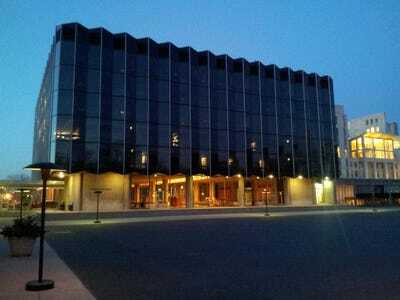 42 last year, the University of Minnesota Law School puts a lot of emphasis on legal research, as it is home to nine faculty-founded research institutes that focus on various areas of the law. Arizona State University scored a 5.1 out of 10 on our Legal Insider rating. 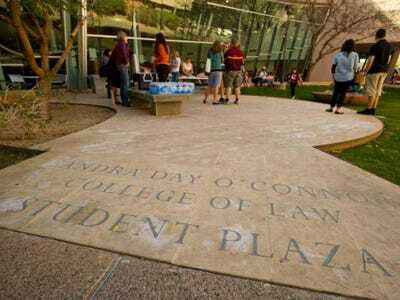 ASU's law school is named for Sandra Day O'Connor, and while the Supreme Court justice didn't attend, the school is the alma mater of more than a dozen court judges, justices, and officials. Brigham Young University scored a 5.1 out of 10 on our Legal Insider rating. 78% employed nine months after graduation. 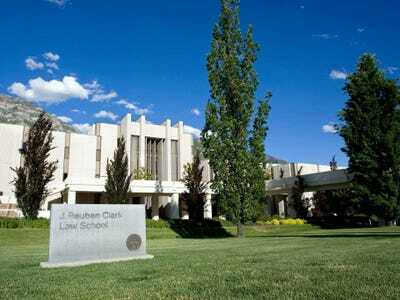 BYU's J. Reuben Clark Law School is king when it comes to best return on investment law schools. US News ranks Clark No. 3 on its list of law schools whose students have the least amount of debt when graduating and No. 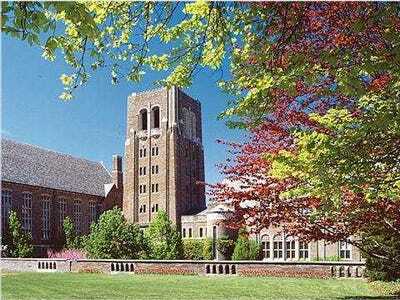 1 on its list of law schools in which grads' salaries outweigh their debt. Washington University scored a 5.2 out of 10 on our Legal Insider rating. 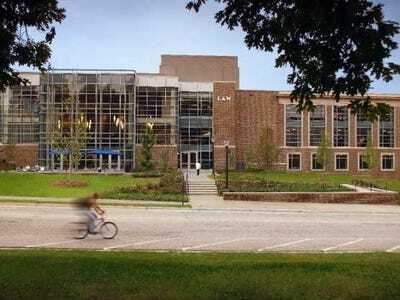 Students at WULS can pursue two degrees at once through the law school's joint-degree program. By taking additional credits at the school of business, school of social work, or graduate school of arts and sciences, students can walk away with a JD and master's degree or doctorate in another discipline. 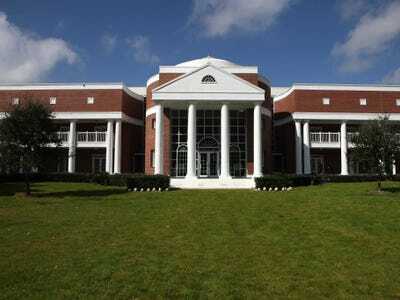 The University of Alabama scored a 5.2 out of 10 on our Legal Insider rating. 90% employed nine months after graduation. 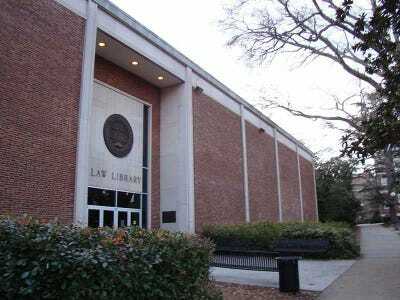 The law students at the University of Alabama are guaranteed at least one hands-on clinical experience while completing their JD. US Senator Jeff Sessions is a graduate of the school; 'To Kill a Mockingbird' author Harper Lee also attended, but he never earned a degree. 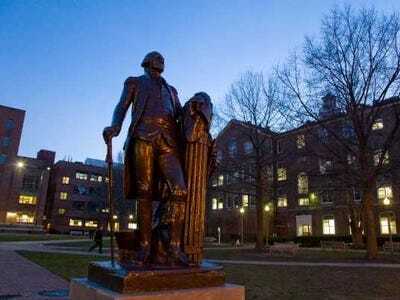 George Washington University scored a 5.3 out of 10 on our Legal Insider rating. 91% employed nine months after graduation. With one of the best intellectual property programs in the country, GW Law is located in downtown D.C., just blocks from the US State Department. Former senator and creator of the Fulbright Program J. William Fulbright and crown princess of Iran Yasmine Pahlavi are both alumni. Boston University scored a 5.2 out of 10 on our Legal Insider rating. 75% employed nine months after graduation. 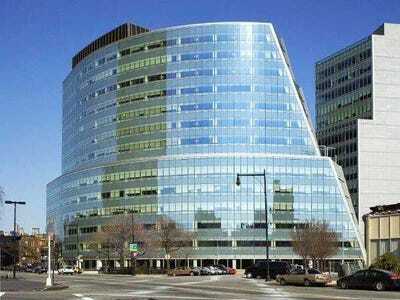 Boston University is known for its strong tax law, healthcare law, and intellectual property law programs. The Boston law school also offers study-abroad programs in Italy, France, and Israel. Baylor University scored a 5.5 out of 10 on our Legal Insider rating. 77% employed nine months after graduation. Baylor University Law School has the third-best trial advocacy program in the country, according to US News and World Report. Students' schedules are highly customisable; they can start school in the fall, spring, or summer and can take any fall or spring term off for a clerkship, internship, or study-abroad program. UCLA scored a 5.6 out of 10 on our Legal Insider rating. The UCLA School of Law is only 60 years old, but it has established itself with its prestigious entertainment law and business law programs. Twenty research centres are associated with the campus in addition to 20 law clinics for students to get hands-on legal experience. 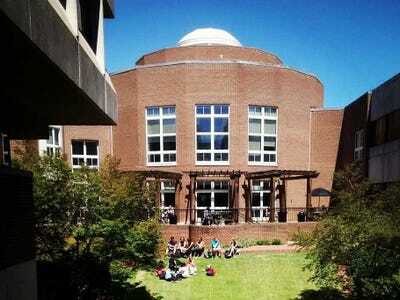 Emory University scored a 5.6 out of 10 on our Legal Insider rating. 95% employed nine months after graduation. Up 14 spots from last year's ranking, Emory University Law School has a strong relationship with the Carter Center, where students can work in clinics promoting world peace. One of the four legal journals at Emory Law is the student-run Emory Bankruptcy Developments Journal -- the only journal of its kind in the country. 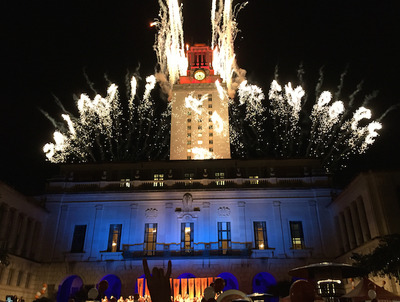 The University of Texas scored a 5.7 out of 10 on our Legal Insider rating. 88% employed nine months after graduation. UT Law has eight societies for first-year law students to get to know one another and get involved in some of the 30-plus student organisations. Alumni include President Bill Clinton's political consultant and former adviser Paul Begala as well as former Sen. Kay Bailey Hutchison of Texas. 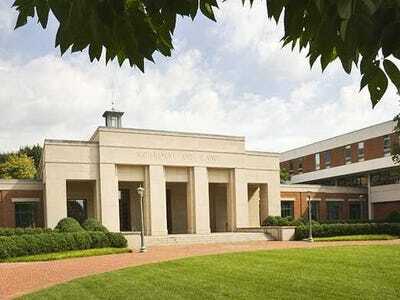 The College of William & Mary scored a 5.8 out of 10 on our Legal Insider rating. 89% employed nine months after graduation. The Marshall-Wythe School of Law is America's first law school and the alma mater to Republican Rep. Michelle Bachmann and former Rep. Eric Cantor. According to the The National Law Journal, William & Mary law grads hold more government jobs than those from any other law school. Boston College scored a 5.9 out of 10 on our Legal Insider rating. 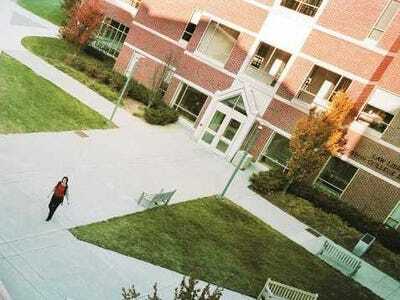 The law school is just six miles from downtown Boston and offers specialty programs like the Women and the Law Clinic and the Land and Environmental Program. 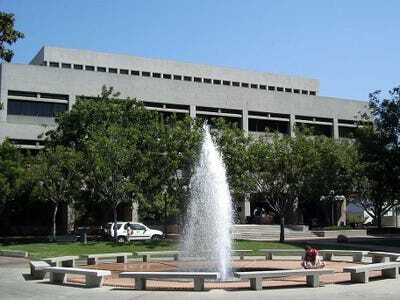 The law school is the alma mater of US Secretary of State John Kerry and US Olympic gymnast Shannon Miller. The University of Notre Dame scored a 6.0 out of 10 on our Legal Insider rating. 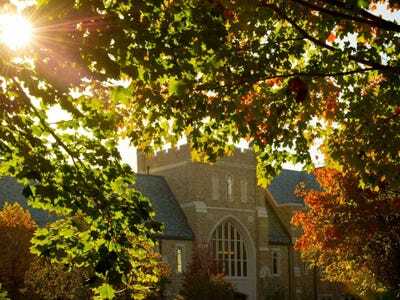 Notre Dame has a strong legal aid clinic and many law journals, including the Journal of College and University Law, which is the only law journal in the country dedicated to higher-education law issues. The Fighting Irish have educated Bank of America CEO Brian Moynihan and Fox legal analyst Andrew Napolitano. Vanderbilt University scored a 6.1 out of 10 on our Legal Insider rating. 93% employed nine months after graduation. 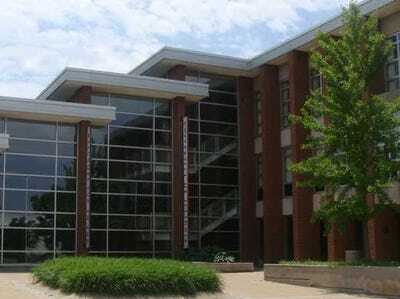 The Nashville law school has students follow a regimented core curriculum their first year, then allowing them to take elective courses and other classes in their second and third years. 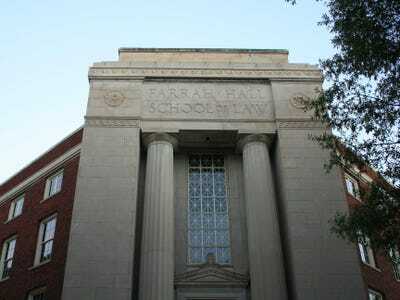 Vanderbilt Law is the alma mater of Al Gore and Fred Thompson, a former US senator and 'Law & Order' actor. 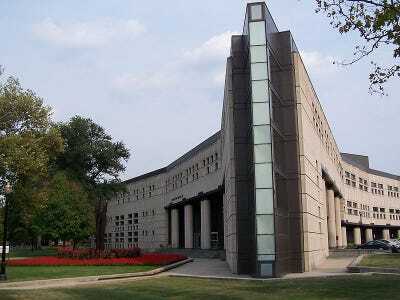 Northwestern University scored a 6.2 out of 10 on our Legal Insider rating. 92% employed nine months after graduation. Northwestern was the first law school to develop and offer an accelerated JD program in which students could earn a degree in two years. Students in the accelerated program are encouraged to interview in person on campus and to look into one of Northwestern's dual-degree programs. The University of Michigan scored a 6.3 out of 10 on our Legal Insider rating. The law school lets its new JD candidates get a jumpstart on school with the Summer Start program, which integrates new students into Michigan Law and gives them flexibility when deciding on their semester class schedules. 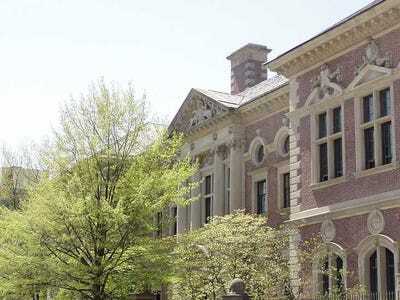 The University of Pennsylvania scored a 6.6 out of 10 on our Legal Insider rating. 97% employed nine months after graduation. The University of Pennsylvania Law School offers an interdisciplinary education to its students, allowing them to take courses in different fields across the university's different schools -- students can earn an MBA, master's in bioethics, or master's in city and regional planning along with their JD in just three years. The University of Virginia scored a 6.7 out of 10 on our Legal Insider rating. 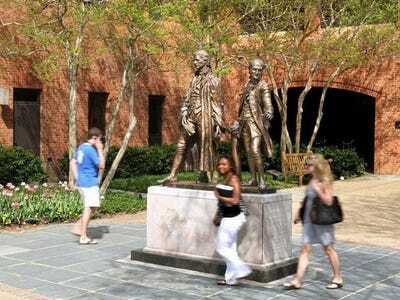 Founded by Thomas Jefferson in 1819, the law school fully abides by a strict honour code in which students hold one another accountable for academic honesty. Students can specialize in areas of interest like environmental law, national security law, and animal law. New York University scored a 6.8 out of 10 on our Legal Insider rating. US News and World Report ranks NYU Law School No. 1 for tax law and No. 2 for clinical training. 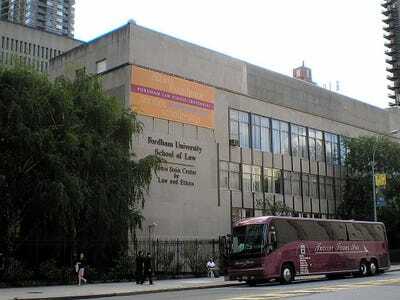 The New York City-based law school is the alma mater of three of New York City's former mayors: Fiorello La Guardia, Rudy Giuliani, and Ed Koch. 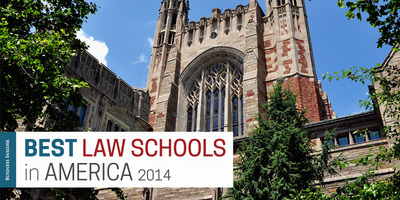 The University of Chicago scored a 7.2 out of 10 on our Legal Insider rating. 98% employed nine months after graduation. 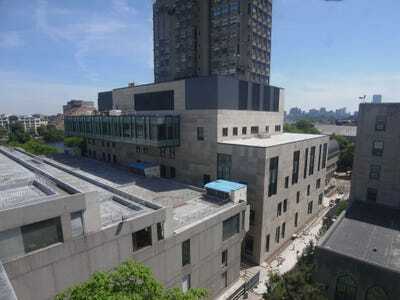 The University of Chicago Law School follows a quarter schedule, offering three shorter terms followed by a summer break, rather than a traditional semester schedule. 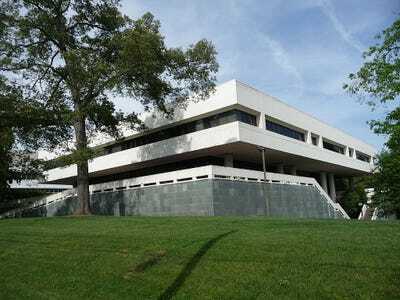 The law school is the alma mater of former US Attorney General John Ashcroft and Robert Bork, former judge of the Court of Appeals for the District of Columbia Circuit. Cornell University scored a 7.2 out of 10 on our Legal Insider rating. 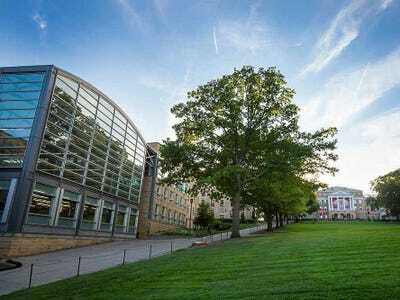 The Ithaca, New York, law school has one of the best international law programs in the country; it even offers a five-week comparative and international law summer program at the Université Paris I Panthéon-Sorbonne in Paris. Students also have the opportunity to do pro bono work with Cornell's Public Service Challenge, which encourages students to volunteer and provide legal aid within the community. Georgetown University scored a 7.6 out of 10 on our Legal Insider rating. 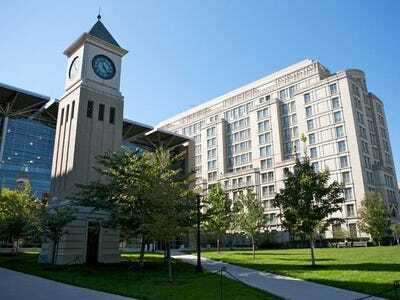 The Georgetown Law Center is in the heart of America's federal government. Students can contribute to 10 different law journals and are offered 15 different clinics, including the D.C. Street Law Program, which provides a basic legal education to the D.C. community. Former President Lyndon B. Johnson is a Georgetown Law graduate. Duke University scored a 7.8 out of 10 on our Legal Insider rating. Breaking into the top five on our list for the first time, the southern law school is the alma mater of Richard Nixon and Charlie Rose. Duke Law has great clinics, with programs like the International Human Rights Clinic, and the Guantanamo Defence Clinic, which allows students to work on military- and counterterrorism-related legal proceedings. 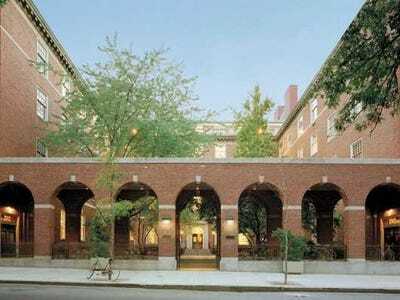 Harvard University scored a 9.9 out of 10 on our Legal Insider rating. Harvard was our No. 1 school for the past two years before it was outranked by Yale. After the recent election, Harvard Law School graduates account for 14 seats across the US Senate and Congress. 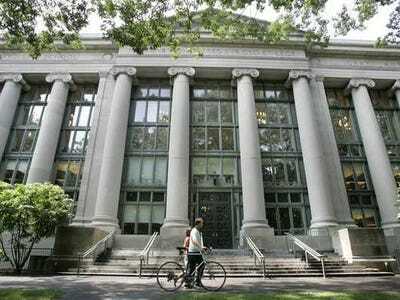 Seven US Presidents graduated from Harvard Law, including President Barack Obama and former US Presidents John F. Kennedy and Franklin Delano Roosevelt. HLS is known for sending its graduates on to Biglaw firms: over 80% of HLS grads work in firms that have at least 500 people, according to the American Bar Association. The majority of the remaining grads work in federal government, securing highly coveted positions like judicial clerkships.